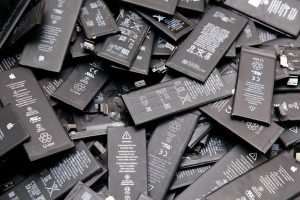 Attorneys have asked a federal judge to temporarily halt Apple’s iPhone battery recycling program, claiming the company could be destroying critical evidence in a lawsuit. The filing is part of Harvey v. Apple Inc., one of dozens of lawsuits filed against the company in the wake of the iPhone-throttling controversy. Apple in late December released a statement acknowledging that it had released software updates in January 2017 that slowed down the performance of iPhones with older batteries. The company said it did that to prevent shutdowns that occur when power demand suddenly exceeds battery supply. But the action raised concerns that iPhone users, frustrated with the slower performance, prematurely traded in or disposed of their devices. In its statement, Apple said it would offer discounted iPhone batteries in response to concerns. Its battery program allows customers to either have their batteries replaced in store or mail them in for a replacement. Attorneys representing New York resident Keaton Harvey on Jan. 15 filed a motion asking the judge to issue a temporary injunction blocking Apple from recycling batteries collected as part of the program. The case, which seeks class-action status, is in U.S. District Court, Northern District of California. The request was first covered by 9to5mac.com. When affected phones are returned to Apple, company personnel run diagnostic tests and gather information from the devices, according to the motion. Adam Levitt, one of the attorneys who submitted the filing, told E-Scrap News Apple’s attorneys haven’t yet responded to it. The filing is the only such motion pending in any of the cases against Apple, he added.